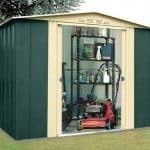 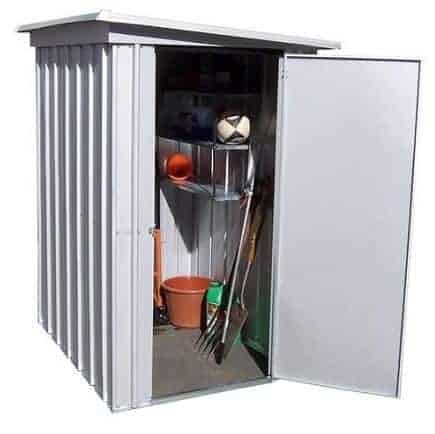 This 7.5 x 3.4 metal shed provides excellent facilities for storing your garden tools. 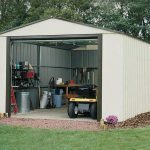 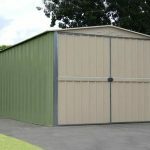 A zinc plated finish on the shed makes it tough and durable, and also brings massive rust protection. 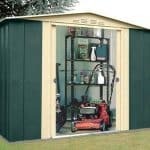 The shed has a 10 year anti-rust guarantee, to show that you can feel comfortable and confident in using it. 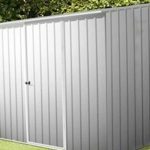 A special anchor kit is also supplied so that you can secure your shed to the ground and protect against high winds. 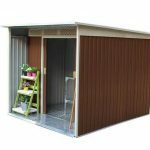 The pent roof allows for effective rainwater run-off, and this turns out to be a very effective little shed that’s perfect for containing all of your garden tools throughout the year.